...... And when you've finally managed to understand every possibility of that tool, you realize it's not just that what you wanted. * When your backup destination isn't available, Yadis! remembers the changes you have made. Whenever the location becomes available Yadis! starts backing up the changes. Qweas is providing links to Yadis! 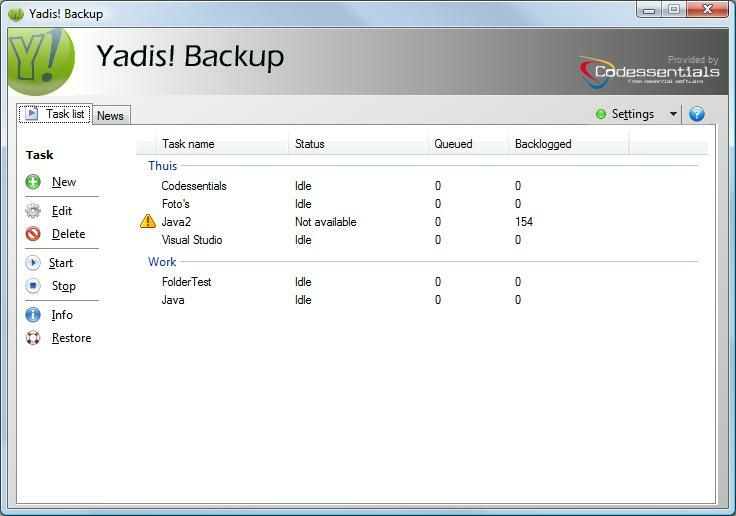 Backup 1.10.6 as a courtesy, and makes no representations regarding Yadis! Backup or any other applications or any information related thereto. Any questions, complaints or claims regarding this application Yadis! Backup 1.10.6 must be directed to the appropriate software vendor. You may click the publisher link of Yadis! Backup on the top of this page to get more details about the vendor.